There was a time when the mere fact that AirPods were available on Amazon counted as a reason to announce a “deal,” as they almost always sold out within hours. 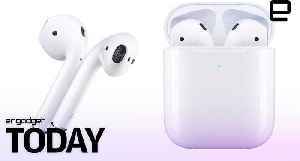 Today, though, there’s actually a..
Apple could launch the third-generation AirPods as soon as this year, according to a new report, with a reliable analyst also adding that two different models could be introduced. 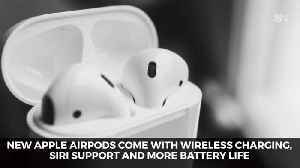 First of all,..
▶ Videos for "New AirPods"
Apple is always on top of releasing the most cutting edge technology trends. 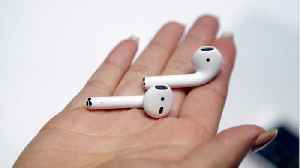 Now, according to Digital Trends, competitor Beats is reportedly planning to roll out a truly wireless version of its..
Business Insider reports that Apple just launched its second-generation AirPods. 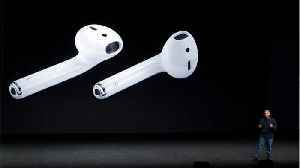 The new AirPods offer hands-free Siri support and the option for wireless charging. The new AirPods are powered by..
Will you pick up a pair? Apple's second-generation AirPods are finally here. 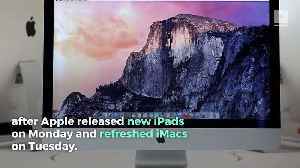 The highly anticipated announcement came on Wednesday, after Apple released new iPads on Monday and refreshed iMacs on Tuesday. 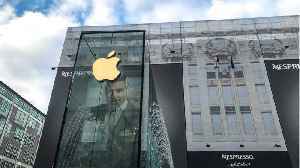 The new wireless..
An Apple announcement a day keeps the news blues away. 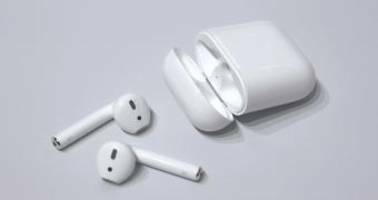 Apple recently released the brand new version of their AirPods and many are saying they look quite similar to the first version. Gizmodo reports there are a few upgrades such as the new AirPods have a..
Apple's revised wireless headphones last longer and work better with Siri, but they're essentially the same excellent AirPods as before.